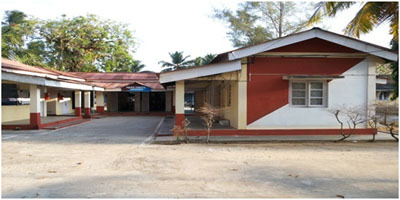 The Car Nicobar Sub Division is consisting of four Police Stations i.e. Car Nicobar, Nancowrie, Katchal and Teressa, one Look out post Tilongchoung at PS Nancowrie and one Out Post Chowra at PS Teressa. On 31/08/16 a plantation drive carried by SI P.K Shivhare I/C PS Car Nicobar alongwith PS staff & Home Guard volunteers. On 30/08/16 Swatch Bharat Abhiyan has been conducted at Children Park situated at Head quarter area by PS staff & Home Guard Volunteers. On 15/01/16 and 16/01/16, Special drive has conducted in which violators of Traffic rules and regulations were Challaned under various sections of M.V Act and spread awareness of road safety as well. On 17/01/16 at 1100 Hrs a Meeting with private driver of Car Nicobar in connection with “27th Road Safety Week 2016” was held in the office of the Superintendent of Police (D) Nicobar. The meeting has chaired by in charge PS Car Nicobar and 20 private drivers of Car Nicobar attended the meeting. I/C PS Car Nicobar welcomed all the drivers present in the meeting and highlighted the importance of Road Safety in minimizing road accidents. He further requested their co-operation to sensitize the people of Car Nicobar on the dangerous effects of ‘Over speeding’, ‘rash driving’, ‘drunken driving’ and other violation of traffic rules. On 18/01/16 a bicycle rally has conducted in which more than 80 persons including children from various villages of Car Nicobar actively participated. The rally began from APWD Guesthouse (Headquarter) and finished at BJR Stadium Tamaloo village. Assistant Commissioner Car Nicobar Shri. Akhil Kumar and Secretary Tribal Council Shri. Martin Luther cheered the participants and flagged off the rally. On 19/01/16 An Awareness programme on the subject “ Road Safety” was conducted at Big Lapathy Govt. Sr. Sec School Car Nicobar in which more than 100 students actively participated . On 20/01/16 An Awareness programme on the subject “Road Safety” was conducted at Malacca/Kakana Govt. Sr. Sec School Car Nicobar in which more than 60 students actively participated. On 21/01/16 An Awareness programme in connection with 27th “Road Safety week 2016” was conducted at perka Community Hall in which students from Malacca/kakana Govt. Sr. Sec. school, Big Lapathy Govt. sr. sec school, Sawai Govt. secondary school and Mus sec school participated. Superintendent of Police, Nicobar District Shri Deepak Yadav IPS was also present in the programme along with this PS staff. At first PSI Ashok Kumar Bagel welcomed the children and then delivered a lecture on the importance of Road Safety to minimize road accidents. Besides, efforts were made to sensitize the children on the dangerous effects of violation of safety measures and traffic rules & regulations. At the end SP(D)N interacted with children and asked to follow the safety measures and traffic rules & regulations to decrease in the rate of road accidents. Police Station Car Nicobar is the oldest and the most important Police Station of Nicobar District. It is functioning in the Head Quarter area of Car Nicobar Island. The office of the Superintendent of Police, Nicobar District is also situated in the jurisdiction of this PS. Car Nicobar Island is situated between Little Andaman and Nancowry Island. Its area is 127 sq. km and is about 250 km from Port Blair. This Island is remarkably flat except for some cliffs in the North and small hilly areas in the interior. Car Nicobar is covered with coconut trees and has enchanting beaches. Nicobari tribes inhabit this island. The main source of their economy is coconut and Arecanut trade. This island is not open to tourists and a Tribal Pass is required under PAT Regulation to visit the island. Although the area of Car Nicobar is less than 7% of the area of Nicobar group but more than half of the population of entire Nicobar group, resides here i.e. 20,292 as per the 2011 census. This island has 15 villages viz. Mus, Kinmai, Small Lapathy, Big Lapathy, Tapoiming, Chukchucha, Kinyuka, Tamaloo, Perka, Malacca, Kakana, Kimious, Arong , Sawai, Tee-Top. Languages spoken are Nicobari & Hindi. Most of the population of Car Nicobar is Christian by religion though some Muslim population is present too.